Visualizing Data from Meteorological Station Networks | Air Sciences Inc.
To solve these problems, Air Sciences has built the Avalanche Met Station Visualization Tool. This project is funded by the Northwest Avalanche Center (NWAC) but is intended to be universally applicable to any meteorological station network. Within a large meteorological station network, some stations are more useful for answering certain questions than others. Rather than force users to search through which stations are best to answer specific questions, forecasters can work with Air Sciences to start users with the best stations for specific questions. The tool then allows users to easily look beyond those suggestions through customization. For example, Air Sciences has helped NWAC forecasters handpick stations ideal for understanding conditions at various backcountry locales. On the forecast page for each backcountry location, each tool loads the best stations for ridge-top winds, mid elevation precipitation, and low and high elevation temperatures. For most recreationists, these choices contain all of the information needed to plan their day. For more advanced users, the tool can be customized interactively. Users have the ability to mix and match any set of weather stations for comparisons. They can easily zoom out to look at the full season or zoom in to focus on any time period within the record. They can remove and add new parameters and re-order the plots. All of this is done without leaving the page or losing sight of data already plotted. All of these customizations can be saved, bookmarked or shared, simply by sharing a URL specific to current settings. This gives every user the ability to build and return to their own tools that show data relevant to their specific interests. It is fast, intuitive, mobile friendly, and doesn’t require users to set up accounts. The ability to mix and match different stations and compare them on the same plot is a unique feature and has huge benefits in avalanche forecasting. Tasks such as identifying inversions, looking at precipitation gradients, or establishing frontal timing of winds and precipitation, are all extremely common lines of inquiry made much easier with the tool. The Air Sciences team has expertise in a full range of web- and mobile-based scientific databases and applications, meteorological and air quality data collection and analysis, and snow science. Air Sciences also provides expertise in meteorological station installation, maintenance, telemetry, and data management. 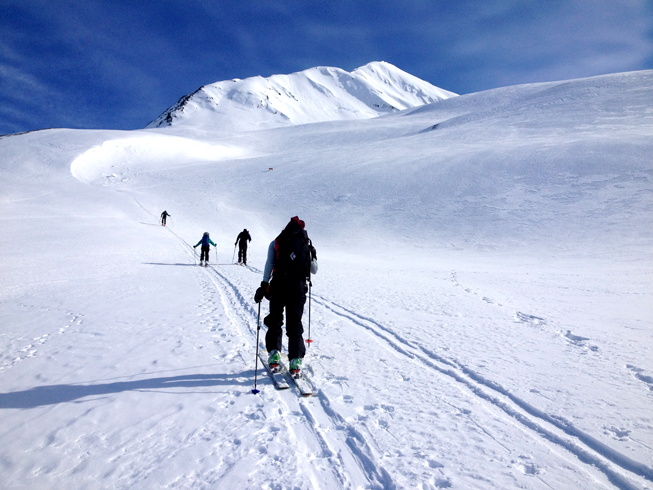 Our team includes highly experienced backcountry users with experience in avalanche safety education. 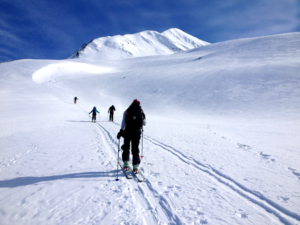 NWAC and Air Sciences are excited to expand the tool to other avalanche centers and to other fields managing time-resolved environmental data. Interested parties should contact Air Sciences or NWAC directly with questions.